Welcome to language-easy.org! Well, as you have clicked on this site, I suppose that you want to enter the real depth of German grammar. So, in this case, we will talk about German interrogative pronouns. Unfortunately, this kind of pronouns can be rather complicated sometimes. But, let’s be honest, there are not too much topics in German grammar which are really easy. Luckily, German interrogative pronouns are of essential importance in the German language. And, well, this should also serve you as motivation! So, once you master this topic, you will be able to improve you spoken and written German significantly. Furthermore, it allows you to understand grammar construction. Well, as already mentioned, they are really essential! 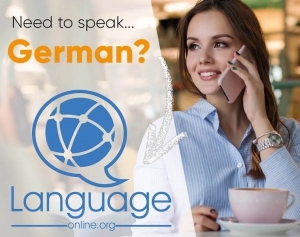 Nevertheless, there is a lot of practice needed and, of course, you will still fail a lot especially in the way you use German interrogative pronouns in the correct kind of way. But, I am convinced that you are a smart person and this topic won’t be too complicated for! So, let’s go straight ahead and talk about the importance of German interrogative pronouns in the German language. What are German Interrogative Pronouns? Was sind Interrogativpronomen im Deutschen? First of all, we should clear up what German interrogative pronouns actually. For sure, most of you have already heard them or seen them in texts. So, in English you can also call them question words. German interrogative pronouns replace the noun or pronoun that we a asking after in question. Well, which words do you we use in German? in the following I’d like to show you a list of German interrogative pronouns. Please, keep this list always in mind – in many situations it will be helpful to you. Of course, “wem” and “wen” are difficult to translate in English. That’s because German interrogative pronouns also depend on the case of the thing or person we ask for in a question. In the following, let’s have a look at some example phrases that illustrate their usage in different cases. Well, as already mentioned, the interogative pronouns “wer“, “was“, “wem“, “wen” and “wessen” replace the nouns or pronouns we are asking after. So, here are some example that will show you the correct way to use them. Let’s apply these German interrogative pronouns in some example sentences. First, we use “wer” to ask for people in the nominative case. “Wer hat mich bestohlen?” – Who has rubbed me? Second, we use “wen” to ask for people in the accusative case. “Wen habe ich geküsst?” – Who have I kissed? Third, we use “wem” to ask for people in the dative case. “Wem habe ich geholfen?” – Who have I helped? Fourth, we use “wessen” to ask for people in the genitive case. “Wessen Ball ist das?” – Whose ball is that? Sixth and final, we use “was” to ask for things in all the German cases. “Was ist das?” – What is this? Hopefully, things became quiet clear. So, the key to understand this kind of German pronoun is to remember the table in order to know what German interrogative pronouns exists. Furthermore, you should always pay attention to the case of the person or thing you are asking for. Hopefully, you have learned some new things about German interrogative pronouns. So, especially about their different forms and, of course, the correct way to use them. Unfortunately, there are the different cases, which force you to vary the forms. Well, that’s something typical of German – you simply have to study, study, study. But try to think in possibilities German opens you: The country, the people and their culture. By the way, there is a good article on Wikipedia about German verbs and also there are some list of irregular ones.